Go to the App Store on your iPad. Type "hopTo" in the search box to find the hopTo app. Tap "FREE" button and then tap "INSTALL"
The round progress bar will then appear and the hopTo app will be installed onto your iPad. Once the installation is finished tap the "OPEN" button to launch the app. 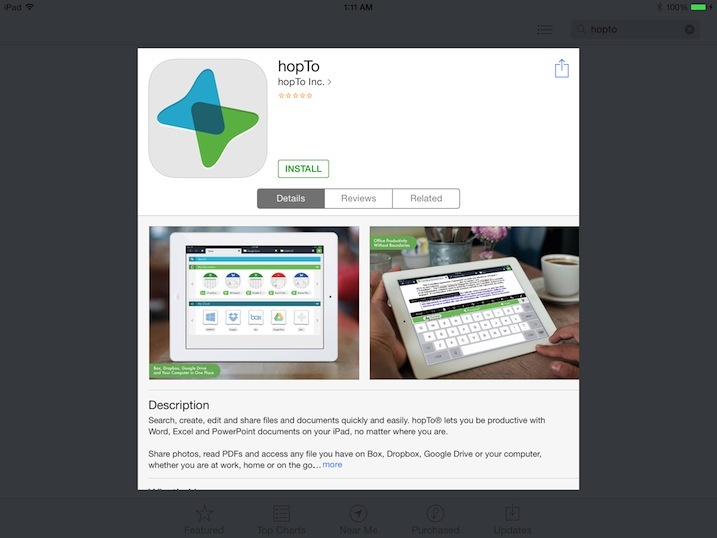 To start using hopTo you will need to create an account. Click here to learn how to create a hopTo account.